Originally listed to ship 24 February 2016, Diamonds is showing that the book will now ship March 16th. The next installment of the smash-hit Marvel Artist Select Series is here! Each deluxe hardcover in this series features a collection of issues never-before released together. 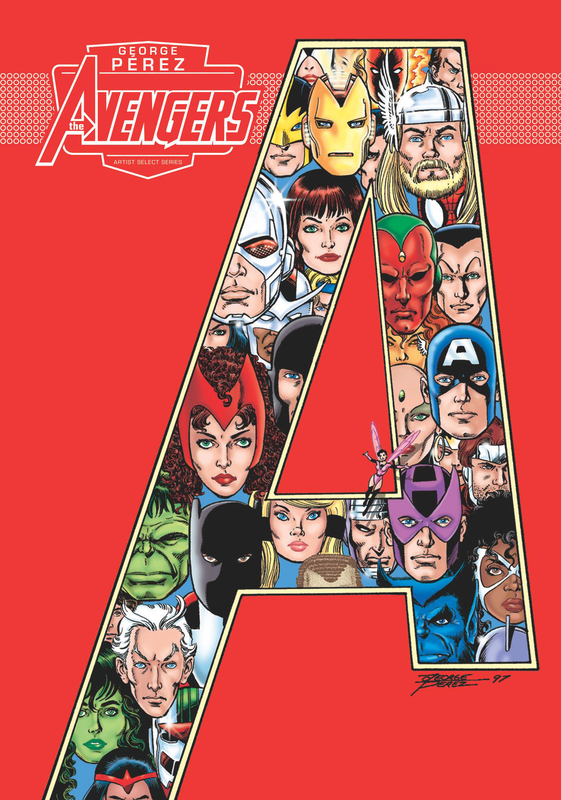 This oversized, limited-edition hardcover celebrates the legendary George Pérez's time on The Avengers with a hand-curated selection of Pérez's favorite issues chosen by the artist himself. Each copy of this 999-copy limited-edition hardcover is slip-cased, hand-numbered, and signed by George Pérez!